This is the OFFICIAL website of the New Zealand Martial Arts Hall of Fame. Martial arts have fractionated in New Zealand and in many other countries around the world. Many arts in this country have broken from their origins by choice, because of cost, for political reasons or for other reasons beyond their control. In some cases students have found that what they considered to be legitimate governing bodies were in fact simple commercial operations with little or no foundation. 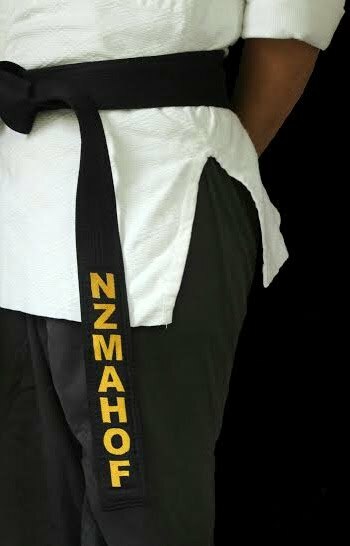 Please read the following pages on this site to understand our philosophy, objectives, services and to read about some of the top Kiwi martial artists who have received honours from the NZMAHOF.While the NZMAHOF is there to provide leadership at the very highest level, this is not a one way street. To help you accomplish your goals, the NZMAHOF also needs the support of the people it is committed to benefit. That is, from you and your local club or national group.